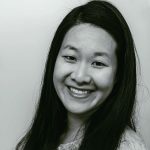 Published Jul 21, 2017 By Julia 6 CommentsThis post may contain affiliate links. 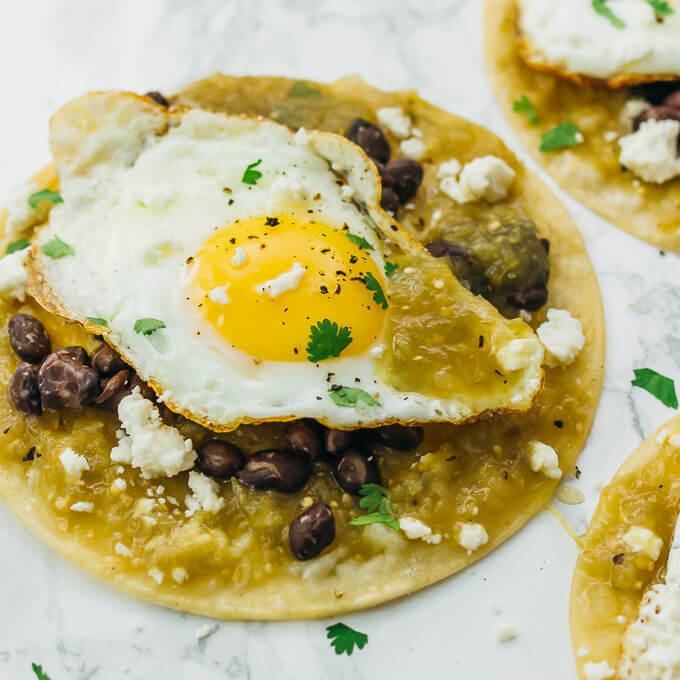 Huevos rancheros are a delicious Mexican breakfast with fried eggs, black beans, salsa verde, and cheese over corn tortillas. Who loves Mexican food for breakfast? I sure do, and there’s nothing better than a big plate of stacked huevos rancheros. If you haven’t had these “rancher’s eggs” before, you’re really missing out and I’m so glad that I’m here to remedy that. 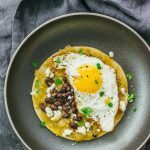 They’re essentially corn tortillas topped with a fried egg sunny side up, with a wide variety of toppings to choose from. Think crumbled Mexican cheese, a dash of hot sauce, refried beans, Mexican rice, salsa, enchilada sauce, and sliced avocados. 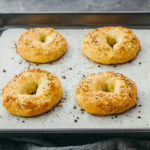 As you can tell, this is one of those easy and forgiving recipes that you can improvise as you go. 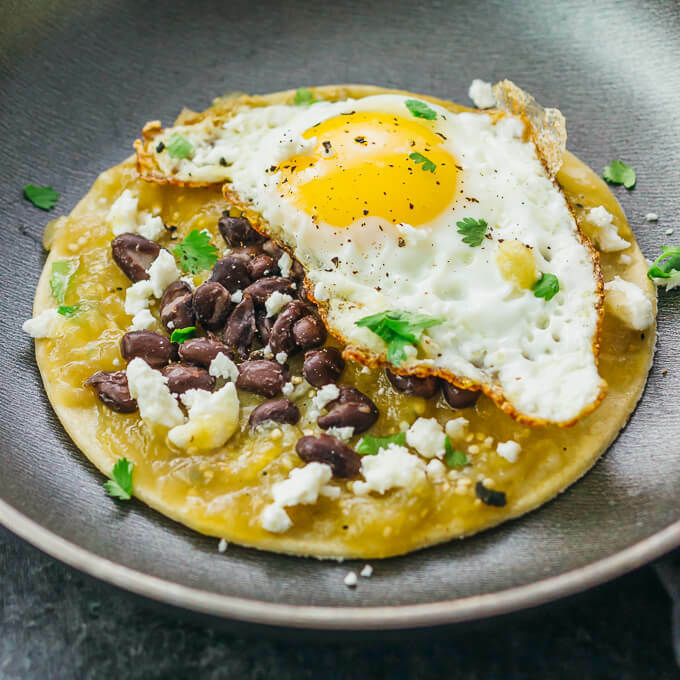 My favorite version of huevos rancheros always includes one key ingredient: salsa verde. The tangy and spicy flavor from the salsa verde is hard to beat. I also include black beans, crumbled Mexican cheese, chopped cilantro, freshly ground pepper, and last but not least, fried eggs with runny yolks. If you love salsa verde as much as I do, you can make homemade salsa verde using fresh tomatillos and use them to make this salsa verde chicken and rice. You might be wondering how to eat this. I definitely don’t know the proper way to go about it, but I have a system that works for me. First, I decide how many I’m going to have. Say I’m going to have three. Then I stack all three on top of each other like pancakes, and stab the yolks so that they are running down the sides of the stack. I use a knife and fork to cut bite-sized pieces, use those pieces to soak up any escaping yolk, and gobble it up. 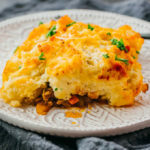 It’s a bit messy, but definitely a delicious mess and medley of flavors and textures. 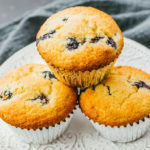 I guarantee it won’t take longer than a few minutes to finish a stack of these. Vegetarian. If you’re doing a meatless Monday or trying to eat less meat in general, this one’s for you. 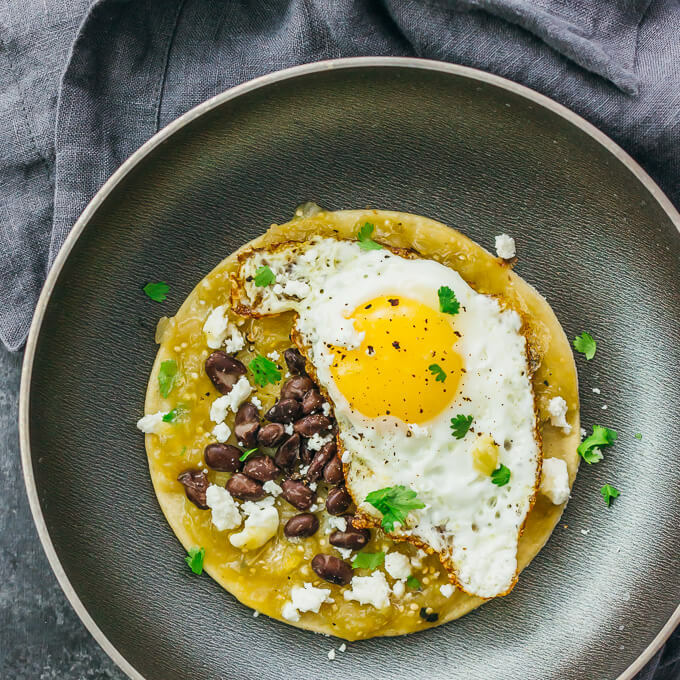 You won’t be missing the meat when you have these huevos rancheros. One pan. You only need one pan to heat the tortillas and to fry the eggs. Simple with minimal cleanup. Few ingredients. 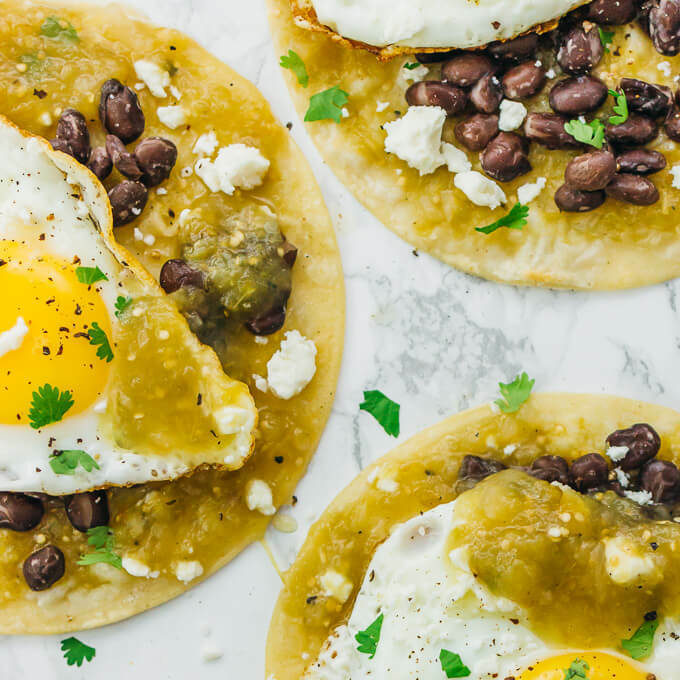 There are only a handful of main ingredients besides salt/pepper/oil: corn tortillas, salsa verde, black beans, eggs, and cheese. Can’t fail. It’s a loose and forgiving recipe — you can figure out your toppings as you go. You can’t mess this one up. 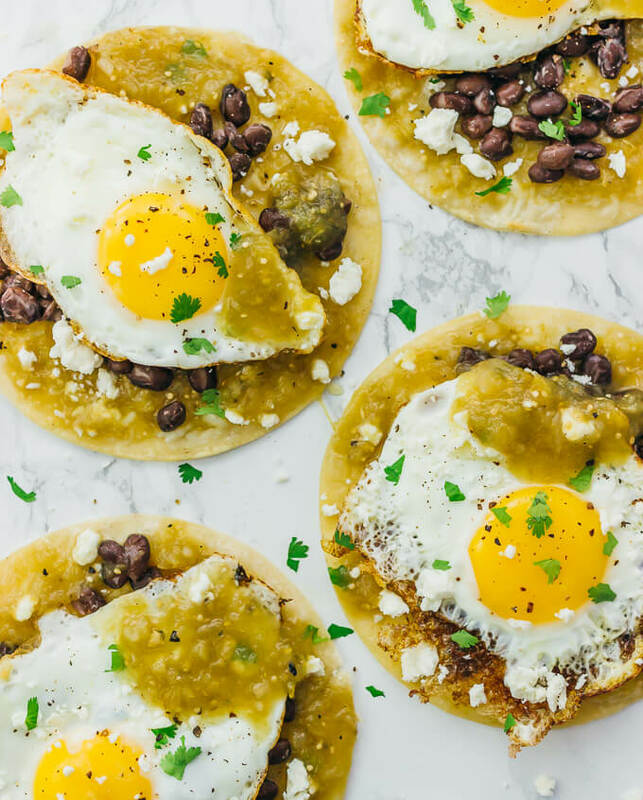 Huevos rancheros are a delicious and healthy Mexican breakfast with eggs, beans, cheese, and salsa verde on tortillas. Warm the tortillas: One at a time, warm the tortillas on an oiled pan over medium heat until hot. Alternatively, use tongs and hold them directly over an open gas flame to give them a bit of charring. Transfer the warmed tortillas to a plate. Add salsa verde and beans: Spoon about half of the salsa verde onto the tortillas, reserving the rest for later. Distribute the black beans among the tortillas. Fry the eggs: Heat an oiled pan over medium for a few minutes until hot. Crack an egg over the pan and fry until the whites are set but the yolk is still liquid. Transfer the egg to a tortilla. Repeat with the remaining eggs. Add more oil if the pan gets too dry. Add everything else: Add toppings as desired, such as crumbled cheese, cilantro, pepper, and salt. Spoon remaining salsa verde on top. Serve immediately. Just FYI, someone stole your photo on Pinterest and linked it to a paleo book they are trying to sell. I reported the pin. Just thought you might want to know! Can’t wait to try this recipe, I got it printed out just need to make the salsa verde! Thanks for letting me know and reporting it. You can make your own salsa verde, or you can buy premade jars. The Trader Joe’s version of salsa verde is pretty good! I’ve not had this before and it looks delicious but I have a really dumb question. How do you eat it? Pick it up like a taco or eat it with a fork?